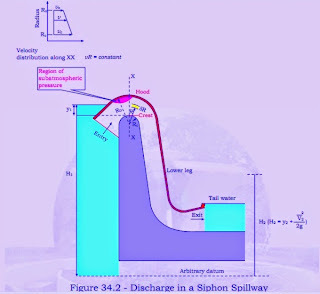 water level (NWL), then water starts to spill from the siphon spillway. 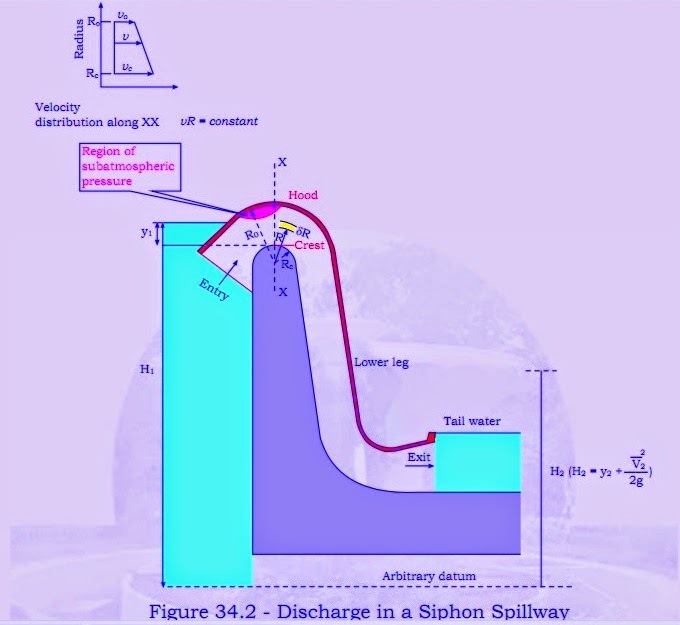 the siphon is locked y the water from both the end. spillway, bay priming arrangement is made. entrapped air inside the duct. (sucking pressure) inside the duct. and finally the duct will be running full of the water. 7. The siphon is in the full operation now. the crest to the instance that siphon runs in full is called priming. of the inlet pipe which will cause the loss of water.